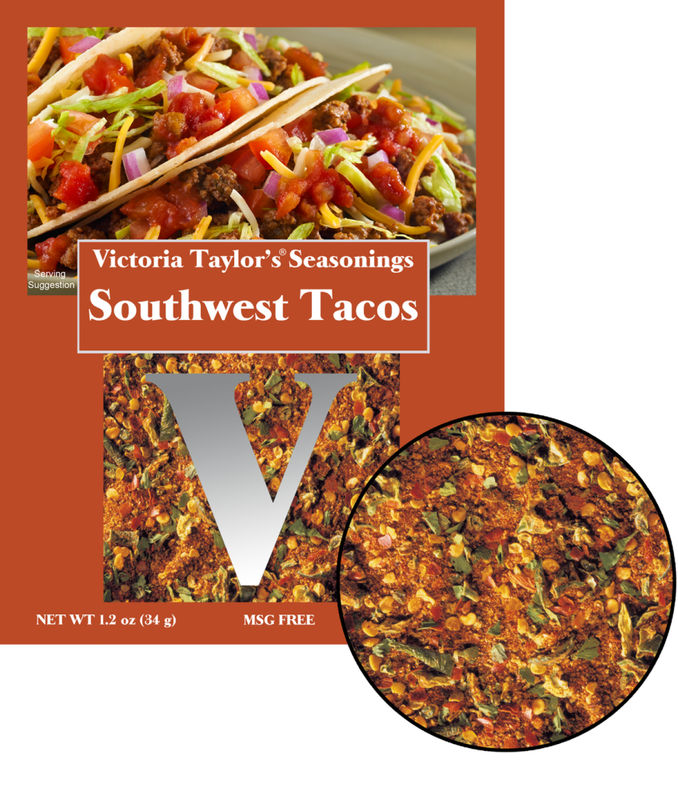 Victoria Taylor uses seven different chiles and peppers (including jalapeño) so the taste is pungent and spicy. The depth of flavor comes from cumin, garlic, onion, and herbs. This is a low salt seasoning blend. This is a single use packet designed to make the recipe for Southwest Tacos which is included on the back.